"Tim Gallagher's Imperial Dreams is unique, a blend of natural and tragic human history and Indiana Jones-style adventure. Imagine venturing into the mountainous heart of Mexico's narcotraficante country armed only with pictures of a great bird that may or may not be extinct. This is Tim Gallagher's most exciting book, and may be his best." 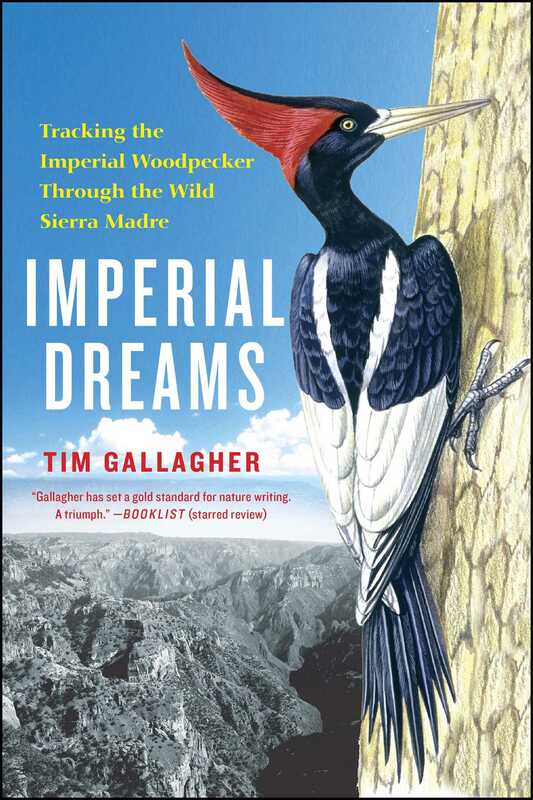 "Imperial Dreams by Tim Gallagher is a natural history of the world’s most spectacular woodpecker and a mystery... It starts as a lighthearted adventure and becomes a tragedy and a tale of terror.... one to excite adventure travelers ...an unforgettable tale of loss... Excellent adventure." "Gallagher combines an in-depth, extensively researched historical account of the region with an equally impressive detailed account of his own experiences there."